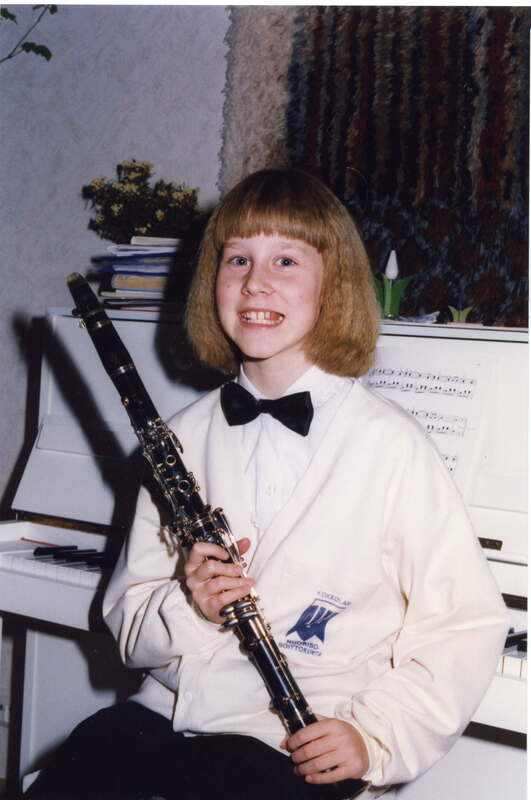 It was autumn 1996 when I first attended clarinet lessons in Kokkola. I had began 3rd grade in a music class as we call it in Finland. Everyone had to choose one instrument. I had played the piano a bit already and wanted to continue with it. In a concert we had to choose one instrument from every category of instruments. I think I chose the violin from strings and the tuba from brass. I remember entering a room where a man wanted to check my fingers and teeth. After that I got the news: I was going to start playing the clarinet. I was a bit sad while I didn’t get the piano. Anyway I kept on going to lessons even though I was not totally enthusiastic. I even wanted to quit for few times but my mom pushed me to continue. Other classmates gave up playing the instruments and by the time we began the upper secondary school we were only few who still were playing. I got a new teacher. And I had to begin to plan what I would want to study after school. I thought I would give up playing and find some “normal” profession. I enjoyed mathematics and got quite good grades in all subjects. But then the new clarinet teacher made me enjoy the playing as well and I realized that I had used 10 years for that already. What would I do without the music? I decided to apply for professional studies of music. I also applied to study chemistry just in case. For the first time in my life I began to practice clarinet playing really seriously. I was quite sure that if I didn’t get in anywhere I would sell my instruments and forget about it. I wanted to study in Tampere and I got in. I decided to see how far I am able to get. After graduating from Tampere as a Bachelor of Culture and Arts, Tallinn as a Master of Arts and from Oulu as a pedagogue and now working as a musician I can finally say that I am a musician. It took my quite a long time to begin to think myself as a musician. I’ve had a dream to play in a rock music band since I was a teenager. At some point I thought I’m too rock to be classical but too classical to be rock. Now I just want to be open to all kind of music. Maybe I will still find some band to play in the bass or sing. Even after these 20 years have passed it is exciting to attend lessons. I guess it has to be that we can always become better players and musicians. I had a great opportunity to play with a clarinetist Tapio Liukkonen from Turku Philharmonic Orchestra in October. We prepared Poulenc’s Sonata for clarinet and piano that I am performing this week 3 times with a lovely pianist Pasi Helin. Hopefully there will be another 20 years of playing! This entry was posted in Concerts, musician's lifestyle, Performance on November 10, 2016 by helipauliina.